Poh Huat’s 1QFY19 core net profit of RM15.4m (+68.7% yoy) came in broadly within our expectations. The higher yoy earnings were mainly attributable to the higher contribution from its Malaysia and Vietnam operations on the back of higher shipments of furniture. We leave our FY19-21E core EPS estimates unchanged as there were no major surprises to Poh Huat’s results. 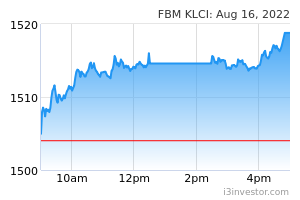 We maintain our BUY rating on the stock with an unchanged TP of RM1.71. 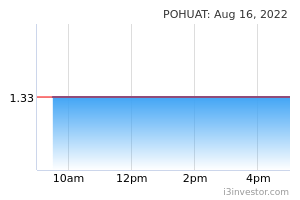 Poh Huat posted a higher 1QFY19 revenue and net profit of RM197.1m (+21.7% yoy) and RM15.3m (>100% yoy) respectively. Sales for Malaysia operations (+34.1% yoy) were driven by strong demand for its panelbased furniture, coming from both existing and new clients. Shipments from its Vietnam operations (+13.0%) have also increased on the back of higher orders, with product mix emphasising the affordable segment of the US market. The EBITDA margin for 1QFY19 improved by 1.6ppt yoy to 10.3%, partly due to lower raw-material costs and better manufacturing efficiency. Adjusting for one-offs, core earnings came in largely within our expectations at RM15.4m (+68.7% yoy). On a sequential basis, Poh Huat’s 1QFY19 revenue increased by 4% qoq to RM197.1m. The higher turnover was mainly due to higher sales from both Malaysia and Vietnam operations. However, its EBITDA margin fell by 2.4ppt qoq as: i) Malaysia operations incurred higher raw-material costs during the initial production of new designs for the panel-based bedroom set and ii) Vietnam operations faced stiff pricing competition and higher direct labour costs. Competition over the past couple of years has intensified with more factories operating in Vietnam, resulting in surplus capacity and price competition. Nevertheless, we expect demand for Poh Huat’s furniture products to remain resilient as the group continues to introduce more unique and differentiated furniture products, which would not be easily duplicated by other furniture players.